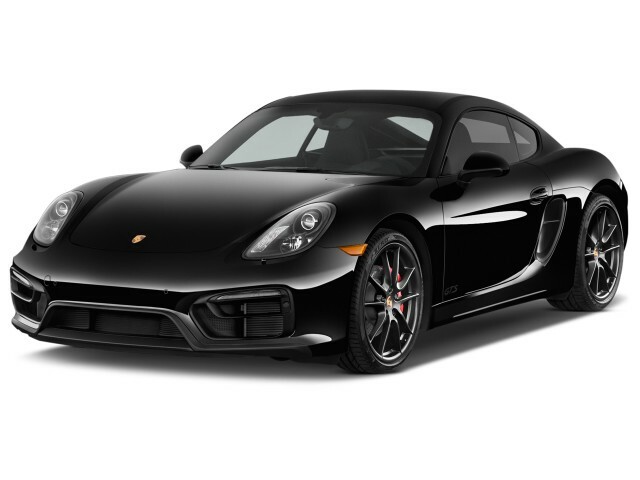 The Porsche Cayman is the two-door coupe sibling of the Boxster roadster. The Cayman combines beautiful styling, a luxurious interior and sharp handling for an exciting driving experience. 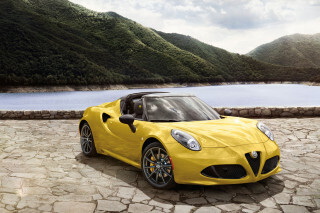 Its chief rivals include the Alfa Romeo 4C, the Infiniti Q60, Nissan's 370Z and even Chevrolet's Corvette. For the 2017 model year, both the Cayman and Boxster will be newly branded with the "718" tag, as Porsche blends them into a single model range. 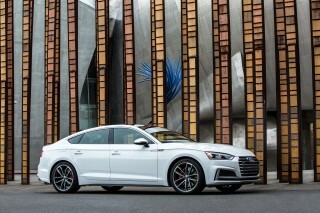 The renaming comes with a new turbocharged four-cylinder engine. The Cayman was named Motor Authority's Best Car To Buy 2014. Porsche's Boxster sports car had been around since 1997, but it didn't get a coupe companion in the form of the Cayman until 2006. The Cayman didn't diverge much from the Boxster's successful path: it was initially offered in base and S versions, with special editions showing up later in its lifecycle. Initially, the Cayman came with a 245-horsepower, 2.7-liter horizontally opposed (flat) six-cylinder engine and the Cayman S had a 295-hp, 3.4-liter flat six. For 2006 all Caymans were offered in Cayman S form, with the base model arriving the next year. The Cayman had a five-speed manual transmission standard, while the Cayman S received six gears—optional on both was a five-speed automatic with Tiptronic shift control. The Cayman quickly won nods as a sports car every bit as thrilling as a 911, with sharp, intuitive steering response, good feedback, and confident brakes. The mid-mounted engine also allowed some surprisingly good packaging in the Cayman; cargo could be stowed in back or in front, with plenty of space for a long weekend trip, though interior space was a little tight in any of the versions. The Cayman was given a significant refresh for the 2009 model year. Although not looking much different on the outside, the Cayman's interior was improved with new audio and navigation systems plus an improved look and better materials. The options list was expanded to include more luxury items such as a heated steering wheel and ventilated seats. 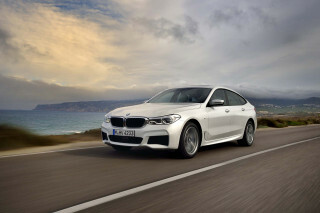 Leather seats were available, as well as a Bose sound system and Bluetooth, along with a long list of accessories that inflated the price to well over $80,000. The Cayman lineup, from 2009 on through 2012, underwent some substantial powertrain improvements. The engines were uprated to either a 265-hp, 2.9-liter flat-six engine in the Cayman or a 320-hp, 3.4-liter flat-six in the Cayman S, with six-speed manual transmissions on both, or Porsche's new automated manual transmission, abbreviated PDK. Both engines were new-generation units with improved fuel efficiency and better low-rev response, and the PDK gearbox was a tremendous improvement over former automatics. 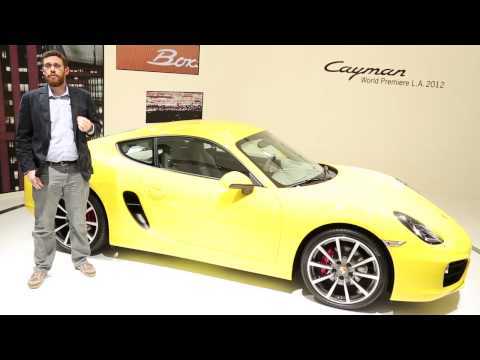 Porsche added a Cayman R model for 2012, which was similar in philosophy and execution to the Boxster Spyder. Like the Boxster Spyder, the R was lighter, by as much as 120 pounds. 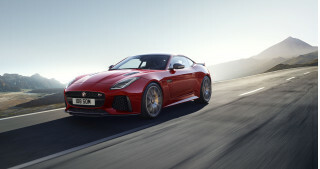 Its engine was borrowed from the Cayman S and massaged to produce another 10 hp for a total of 330, which shaved 0-60 mph acceleration to 4.7 seconds in standard form, 4.6 seconds with the PDK transmission, and 4.4 seconds with the PDK and the available Sport Chrono package's launch control engaged. For the 2014 model year, Porsche introduced a brand-new Cayman at the 2012 Los Angeles auto show. The new version is lighter, faster, more powerful, lower and longer than the prior version—in other words, a coupe version of the 2013 Boxster. Sharp new styling adds a new dimension to the coupe, though the interior is lined with more buttons than ever. Two versions were offered initially in the 2014 Cayman and Cayman S, both available in six-speed manual or seven-speed PDK dual-clutch versions. The standard Cayman uses a 2.7-liter flat six-cylinder engine rated at 275 horsepower. With the optional Sport Chrono package, it can get to 60 mph in 5.1 seconds when equipped with PDK. The Cayman S uses the now-familiar 3.4-liter flat-six engine, rated at 325 hp. With PDK and Sport Chrono, it's good for 4.6-second 0-60 mph runs. Gas mileage rises to as much as 32 mpg highway, according to the EPA. Those models return for the new model year, but for 2015, a Cayman GTS has been added to the lineup. It sports the 3.4-liter flat-six engine from the Cayman S, but with an additional 15 hp and more torque. This means the Cayman GTS is good for 340 hp and 280 lb-ft. A six-speed manual is standard, with a choice of Porsche's excellent PDK dual-clutch gearbox. The Cayman GTS needs only 4.3 seconds to hit 60 mph with the PDK, and top speed is 177 mph with the manual transmission. Porsche’s Sport Chrono package and Porsche Active Suspension Management (PASM) are standard on the GTS. An optional sports chassis setup can also be fitted, which lowers the car by 20 millimeters. Onlookers will able to recognize the $76,195 Cayman GTS by its 20-inch darkened wheels, bi-xenon headlights with darkened surrounds, new bumpers at both ends, a sport exhaust with black tips, and black lettering. For the cabin, the GTS models get sports seats, leather trim and Alcantara accents, with a unique Alcantara interior package available as an option. Porsche has finally confirmed a new lightened, track-focused GT4 model of the Cayman. This variant will sit at the top of the Cayman lineup and feature an slightly detuned version of the 911's 3.8-liter boxer engine making 385 hp and 309 lb-ft of torque. It borrows lightweight parts from the 911 GT3 but unlike that car will be available only with a manual transmission. A Boxster companion to the new model, a return of the Boxster Spyder, has been announced. The two will act as successors to the Cayman R and Boxster Spyder models that were offered with the same lightweight trim, although the new Boxster Spyder does not get the GT4's adjustable suspension or the brakes borrowed from the 911 GT3. Now that the GT4 model has been launched, there are rumblings that a GT4 RS model could be coming next. 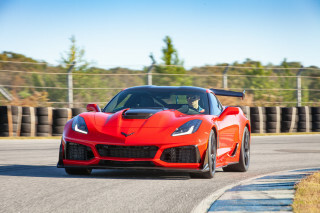 Like the 911 GT3 RS, this would be an even more hard-core and exclusive high-performance variant, with even more power, less weight, and altered aerodynamics. In the next generation, the Cayman and Boxster will receive turbocharged four-cylinder engines in base models. At the same time, the Boxster and Cayman lineups will be unified under the 718 name. The 718, like the 911, will be offered in coupe and convertible models with a wide range of trim levels, similar to what is available today with the mid-engine siblings. I love driving my 2016 Cayman. It's sounds, its feel, its response excites me. This is Porsche number six. We still own two older Porsche models, (thirty one and twenty nine years old). The older one does hobby track duty and all are a blast to drive and build for "life". That said... This is Porsche number six. We still own two older Porsche models, (thirty one and twenty nine years old). The older one does hobby track duty and all are a blast to drive and build for "life".